Co-founders Rachel Mansur and Floriana Gavriel want quality materials to be the main focus of their designs, which is why the label's pieces are made without distracting hardware or embellishments. 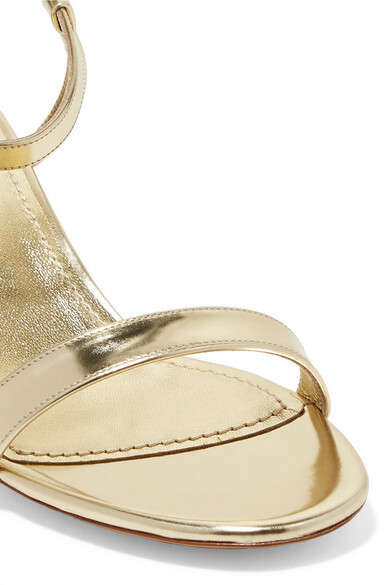 These sandals are crafted from gold leather in a simple two-strap silhouette and set on a manageable 40mm block heel. Style them with everything from denim to floaty dresses. 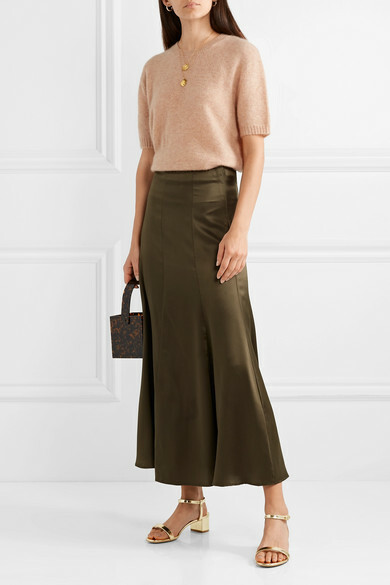 Shown here with: Sally LaPointe Sweater, Albus Lumen Skirt, Montunas Tote.